Aside from having possibly the coolest name in the whole online casino industry, Thunderkick have managed to carve out a nice little opening for themselves in the games design sector. What’s been impressive to see from the folks at Thunderkick is that they realise they are small, they realise they can’t compete with some larger more established brands, but they go about their business regardless and let their passion for game design and software development speak for itself. Thunderkick has only been trading since 2012 but already have some of the most amazing casino games that we have ever seen. They have picked up several industry awards already, most notably for innovation from the IGR awards, but aside from all that casinos are seking them out which is the ultimate compliment. Their products come mainly in an HTML5 format, which means you can access them on both you mobile and desktop computers, and for a newish company they are an unusually common sight at top online casinos, which speaks volumes for their credibility. Thunderkick only work with online slots at the moment and we would guess this will be the case for the foreseeable future as well. They only have around 30 games as of 2019 and they don’t historically release new titles all that often. In fact, due to the size of the company it takes them months to develop new features, although things might be hotting up as they have released 14 titles in the last couple of years. Some people lose their minds about all seeing, all doing software providers that offer up the most games across the widest spectrum. That’s not what companies like Thunderkick are about. They are small, they probably have less than a twenty people working for them and they probably have some crazy, quirky, messy office that fits their needs perfectly. We say all this because the 30 games that are on offer might just be 30 of the best that we have played. That’s not praise we dish out lightly, but we think Thunderkick really is the real deal. 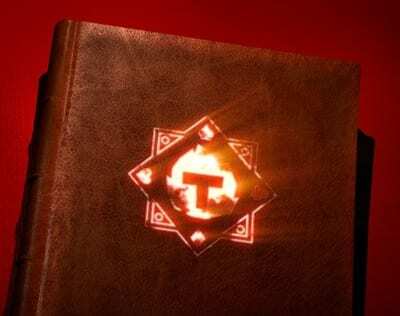 The games ae not only aesthetically pleasing, but they also function brilliantly and allow players to completely submerge themselves in the storyline. 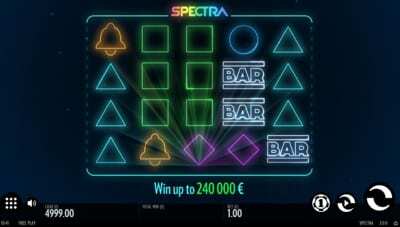 There are many games that we want to talk about, but our standout has to be Spectra. This game took us by surprise a little in that it’s a pretty simple slot with re-spins, wild nudges and stacked wilds helping you throughout. However, it was the design and gameplay that really stood out. It looks absolutely stunning in a simplistic kind of way and we found ourselves mesmerised by the colours, sounds, and features that were on display. Couple that with all the in-game bonus rounds and you might just have the perfect slot. After dragging ourselves away from Spectra we stumbled upon Turning Totems, which is one of their latest additions to their portfolio. 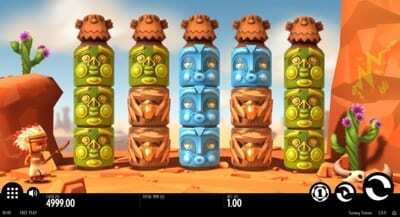 This game has a totally different feel and is much louder and in your face with a comedy bent. The totems that you see are noisy little blighters and this adds to the excitement and atmosphere, plus, the design is flawless once again. Finally we wanted to quickly give a mention to The Rift, which manages to take on a whole different complexion than the other games on offer. This one moves at a much faster pace and has a murky feel to it, with its dark colour scheme and plethora of wilds and bonus rounds to choose from. It’s not a game that you are going to sit for hours playing, as it’s too fast for that, but for a quick game when time is short, it’s perfect. Thunderkick were founded in 2012 and are based out of Stockholm, Sweden. The company are still relatively new to the gaming industry, but have come in with big ideas to try and be the best they can be. 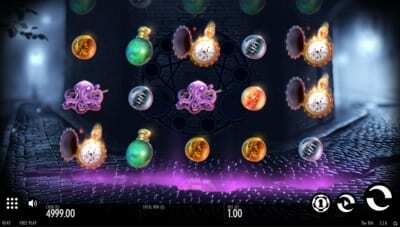 What’s been impressive to see from Thunderkick is that they haven’t moved far away from their initial goal of creating the best possible casino games that they can. Whilst the selection is small, they have to be some of the best-designed and immersive games that we have come across. We wouldn’t be surprised to read in the next year or two that one of the bigger players have acquired them, but we hope they let them keep doing what they’ve been doing to see the current batch of success that they‘ve had.